Ultra-premium, handcrafted and artisan biscotti and granola in tropical flavors made using select Kauai and Hawaii fruits, nuts and herbs. Prepackaged in elegant and resealable zipper pouch-bags. Flavors include tempting favorites such as "White Ginger" or our popular "Chococomacs™". Take and make biscotti baking mixes are also avialable at select retail outlets on Kauai. 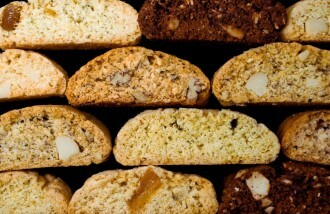 Hula Baby Biscotti offers "the flavors of paradise™".